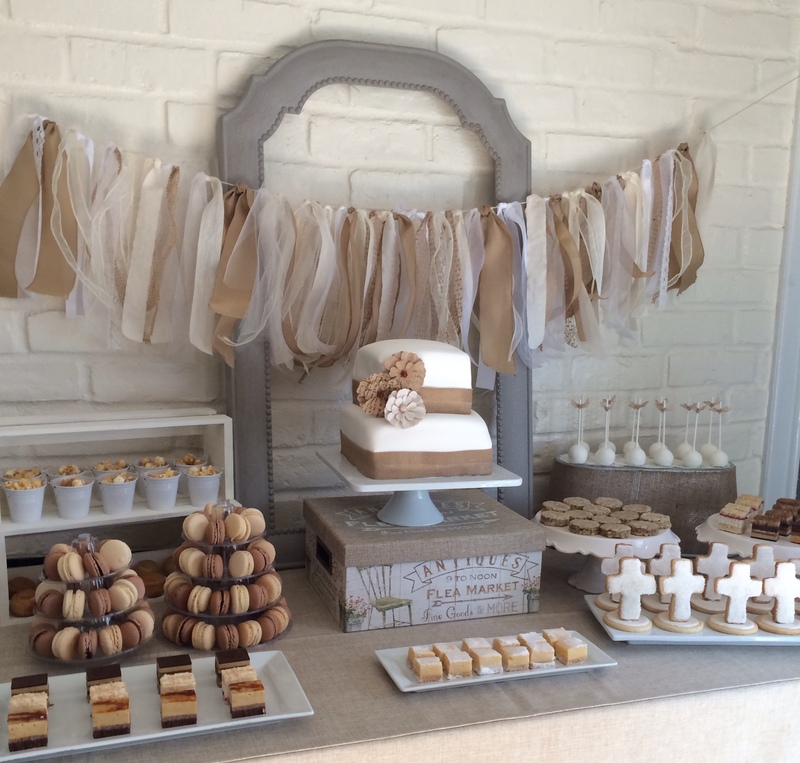 Loved styling this white + burlap tablescape for baby Theo’s baptism. We had less than a week to plan and coordinate as well as bake most of the sweets. Must say everything turned out beautifully and pretty tasty. Happy baptism Theo! Fondant cake adorned with burlap florals and ribbon by JEM team. Home baked cake pops, oatmeal cookies and 3D cross shaped cookies. New mama was a baking machine! Crunch and munch popcorn in mini pales make great dessert bar fillers. Last minute planning called for macarons and sweet bites assortment from Trader Joe’s. JEM approved!